I am still fretting about the fact that we don’t read or watch the same things. The same books? Are you kidding? The same TV shows? Not likely. We don’t even watch the same news. I continue to ask the question how a culture can cohere when no one is paying attention to at least somewhat similar things. Someone told me the other day about a study of the way information is used from Google. The task was for a group of people to Google the word Egypt (it could be almost any important word). The observer then took note of what people chose to follow out of the long list available under Egypt. Some chose contemporary events flowing out of the Arab Spring. 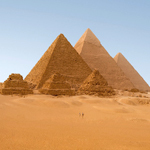 Some chose to look into the rich history of ancient Egypt, its enormous intellectual accomplishments. Some wanted to know more about Egypt, yes, something about its history, but what is it like today? Some even took their cues from travel promotions. So what do we understand about Egypt? Well, a lot of different things. It depends. What do we think or care about any subject, from the national debt, to sports, to religion? What holds us together as a culture? What holds our attention more than a day or two? What does culture mean when information flows so wonderfully freely and the truth of anything is up to our individual choices? I have been thinking lately about a comment the historian David McCullough made about history. McCullough was on my campus for our Downtown Business Breakfast, and he said that a culture that does not know its own history is like a vase full of cut flowers, beautiful for a moment, but destined to wilt and wither. A culture with no roots will die. McCullough said he is alarmed about the quality and coherence of the teaching of history in America today. We do not understand our history. And we must ask about the consequences. I must add this: There was a time when the Christian story provided deep coherence for Western culture. It was the story itself, of course, but as well it was the coherence that allowed our culture to flourish and prosper. I worry about where we are headed cut from those deep and nourishing roots.